I love a good vacation rental. They offer so much more than a hotel ever could, all with one rate. 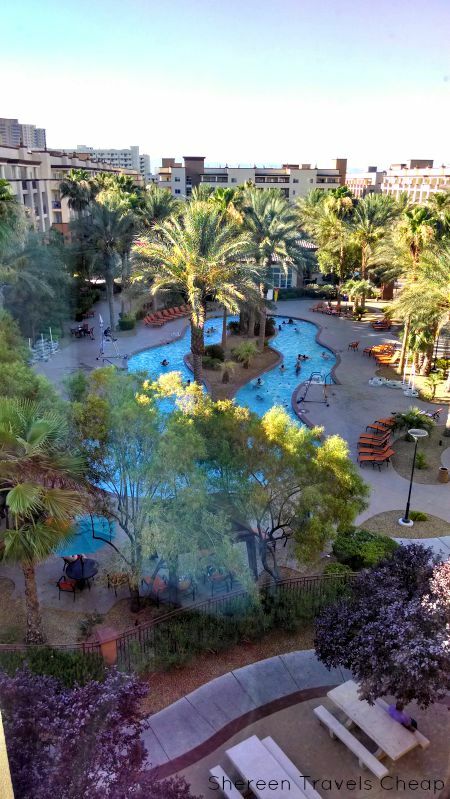 Last month we were in Vegas and stayed in a timeshare property we've stayed in before. It's on Las Vegas Blvd but far enough away from the action to be quiet and relaxing. 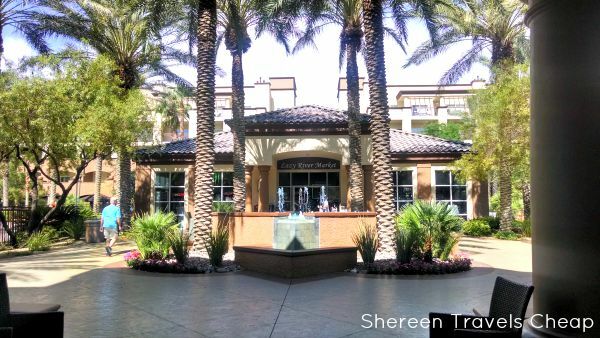 It's also a great place to cool off from the heat of the summer sun, because Vegas can get hot. 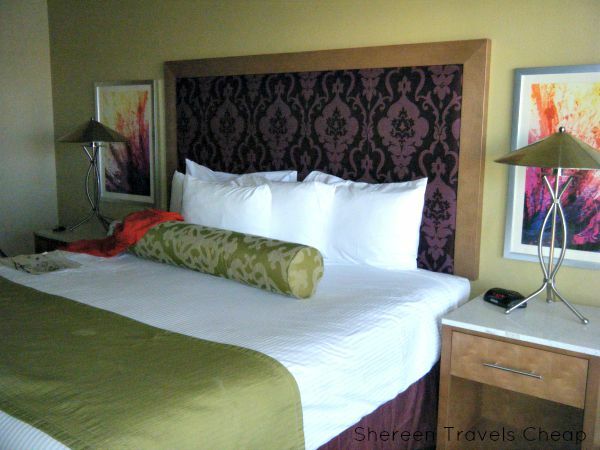 The rooms are comfy, cool and a great respite from the chaos of The Strip. The property was right across the street from some restaurants, it had a small market on-site and they had a shuttle bus that ran to the grocery store for guests to stock up their kitchens. 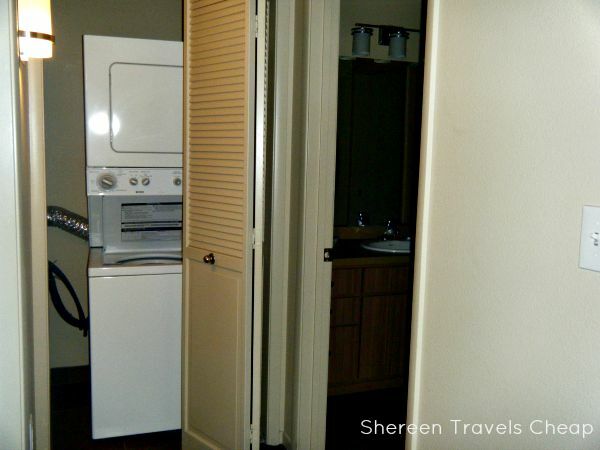 As you can see, we had a large bedroom, washer and dryer, a nice dining area and a good size kitchen. not only that, but we had a huge balcony overlooking the pool, with more than enough seating and a grill. If we wanted to grill more than our little BBQ could handle, there were shared grills downstairs in the common area. In fact, other guests were down there making some racks of ribs. We had a perfect view of the lazy river on the property, which we made good use of. Nearby was also a play area for kids and a play area for adults - a game room with pool, ping pong, an arcade, a lounge and movie rentals. The resort had a spa where you could get a massage and also a gym (which I didn't get to, again). We had a two bedroom that was large enough to share with friends without us getting in each other's way or business since we had different morning routines. 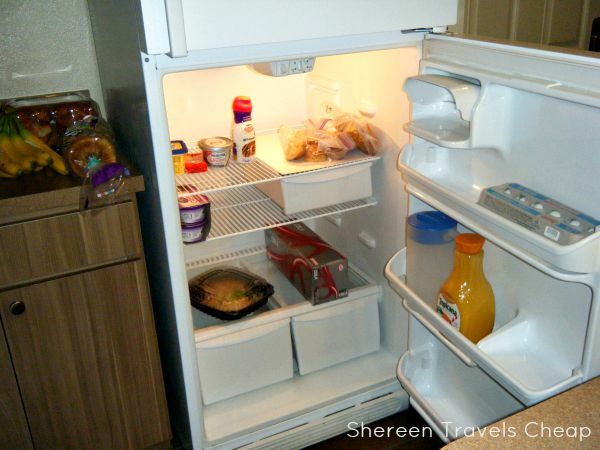 The rooms have a nice roomy kitchen and large dining table, so we could enjoy morning meals, leftovers and snacks. Our first stop is always the grocery store once we get into town, so we can stock up for our trip and save money on dining out. I love all the amenities on the property. The market itself contained almost anything you could want. In fact, it was the only place I was able to find running shorts last time I was there, which I had somehow left at home. I don't run, but I do use them to both sleep in and sometimes as a swimsuit bottom. Now I have an extra pair to keep in my carry-on. The market sold bathing suits, board shorts, cover-ups, Las Vegas souvenirs, every grocery staple you could need, sunscreen, essential toiletries and a coffee shop that sold Starbucks coffee drinks. A vacation rental is one of the best choices for families or groups, because they offer so much and give you a ton of room to spread out in. It's like having a house at your destination. You have everything you need at your disposal and can save a ton of money by using your kitchen, entertainment and washer/dryer. When you can do your own laundry, you don't have to take much clothing, meaning it's so much easier to pack light and avoid baggage fees. We packed everything for our weekend in one large carry-on, but we could have packed just a few more things and been good for a whole week or two. More on what we did in Vegas later. What are your favorite parts of a vacation rental?